Cosmetic Dentist in Miami Lakes Florida Dr. Alberto A de Cardenas, D.M.D. Meet Dr. Alberto de Cardenas, D.M.D. Doctor Alberto de Cardenas was born in Havana, Cuba. At age nine he came with his parents to the Unites States. Dr. de Cardenas father was also a dentist who practiced for over forty six years in both Cuba and the United States. 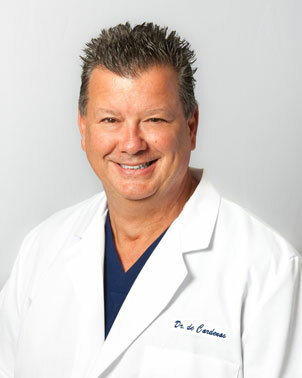 Dr. de Cardenas graduated with honors in the top three percent of his class from Hialeah High School in 1974. He received a B.A. in Chemistry from Florida International University in 1978, while working as a teacher at Edison Private School. In July 1979, Dr. Alberto A. de Cardenas married his wife Lissett Padron. Dr. de Cardenas and his wife Lissett have been blessed by having three children, Annette who is a teacher and married to Blake Price an optometrist , they have a child who is Dr. de Cardenas first grandchild Adrian. The second son is David who is a firefighter paramedic also married to an optometrist Giannie and Christopher who graduated from FIU with a dual degree in Biology and Chemisrty and is a sales representative for Platco Industries. Christopher is in a relationship with a wonderful girl, Jessie, who is an accountant. Family is Dr. de Cardenas most important part of his life. In the fall of 1979 Dr. Alberto A. de Cardenas was admitted to the University of Florida, College of Dentistry. Since part of the curriculum at that time was a self-paced program, Dr. de Cardenas was able to finish the four years in three years and three month, receiving his Doctor in Dental Medicine (D.M.D.) degree from the University Of Florida College Of Dentistry on December 15, 1982. Dr. de Cardenas was awarded the distinguished Omicron Kappa Upsilon Honorary Dental Society; this award is only given to the top five percent of the graduating dentist. 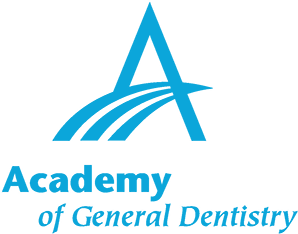 He also received the Presidential Recognition Award, given to the top students from all colleges of the University of Florida, the Academy of General Dentistry Senior Student Award, and the Academy of Operative Dentistry Outstanding Achievement. He was also recognized by the departments of periodontics and the department of endodontics. On February 1983, Dr. Alberto A. de Cardenas received his license from the State of Florida Board of Dentistry and has been practicing quality dentistry since then. Dr. de Cardenas is very committed to continue education. 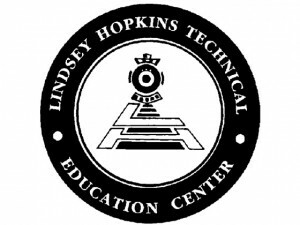 He was member of the Lindsey Hopkins Dental Research Clinic for over fifteen years, where he was extensively trained in the field of dental implants. He received Forensic Dentistry training from the Miami-Dade Medical Examiners Office and has been in the Mass Disaster Identification Team since 1995. Dr. Alberto A. de Cardenas, philosophy in dental care is to treat the person as a whole, being concerned on all aspects of their well being, both physical and mental. That is why Dr. de Cardenas practices using the latest techniques in bleaching, cosmetic dentistry and teeth replacements. Dr. de Cardenas is very concerned with the overall health of the patient. For this reason, he uses digital radiography, whereby only one-tenth of the radiation is used in comparison with regular x-rays. Since the fall of 2003 Dr. Alberto de Cardenas, has been an associate professor of the University Of Florida College Of Dentistry, Hialeah Clinic. There he is part of the faculty that provides a one year internship program in general dentistry and also is involved in the two year program for recertification of foreign dentist. Dr. de Cardenas loves the opportunity to teach these young graduates as well as the foreign dentist, about his profession. He does it with passion and is able to share techniques and procedure that have been successful for him during his over 30 years of experience. Not only does this gives the opportunity for Dr. de Cardenas to teach, but also to learn since the University of Florida is one of the leading universities in the field of dentistry. Dr. de Cardenas surrounds himself with a very professional and dedicated staff, whose main concern is the wellbeing of the patient. For that reason periodically, Dr. de Cardenas has in office training s in different aspects of dentistry and patient care. Dr. de Cardenas always treats his patient with dedicated time appointments and is never rushed to answer questions and concern. Dr. de Cardenas and staff are very proud of their office environment where the strictest sterilization and cleanliness guidelines are kept. For the last three years Dr. de Cardenas offers his patients dental procedures with the dental laser, another innovation, in the pursuit of newer and better treatment for the patients. Once you see for yourself the care given at Dr. de Cardenas, Dental Center, you will also conclude that the care that you received was number one. In September 2004, Dr. de Cardenas was certified in providing his patients with the most technological advanced procedure in dentistry: Invisalign, the clear way of straightening the teeth. Two major advantages of this system are that the patient can removes the appliance to eat and to brush and floss. This is the more important of the two reasons, since hygiene while in orthodontic treatment is a most, and extremely difficult with the arch wire or traditional braces. The other reason is esthetic since in most cases it is hard to tell when the patients are wearing the appliances.